Our people in our nation are being attacked by some bad men and we must protect everyone that keeps our democracy safe. That includes journalists, the postulates, and the people who run our elections. Vuestra gente en nuestra nación están siendo atacados por algunos hombres malos y debemos proteger a todos lo que mantienen segura nuestra democracia. Eso incluye periodistas, los postulados, y las personas que dirigen nuestras elecciones. Political news and information content with a focus on national politics, Congress, Capitol, White House, Hill,lobbying, advocacy, and much more. In-depth coverage includes video features, regular blogs, photo galleries, cartoons, and political forums. 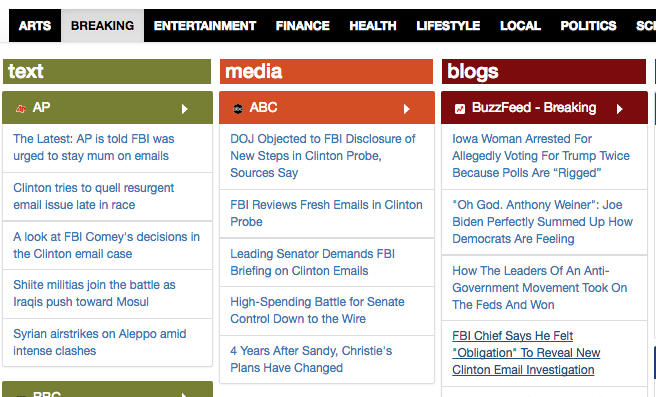 Dose of news shows you the latest political news stories from multiple sources on a single page.